cheap outdoor lighting > Products > Lighting & Ceiling Fans > Outdoor Lighting > Landscape Lighting > Spotlights > SPECIAL SPRING SALE!! 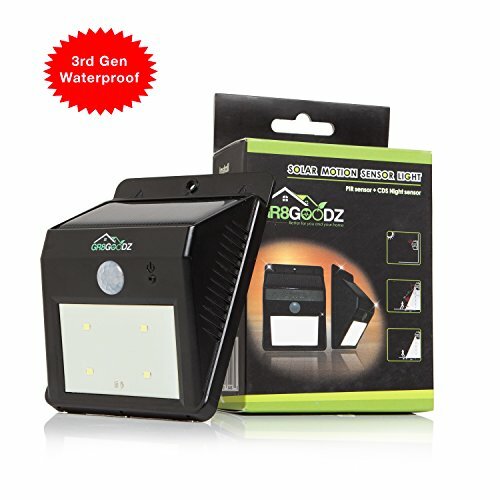 GR8 Goodz LED Motion Sensor Solar Light, Bright, Weatherproof, Wireless Security, Automatic Dusk to Dawn Sensing, For Patio, Deck, Garden, Home, Driveway, Entryway, 1 Pak. SPECIAL SPRING SALE!! 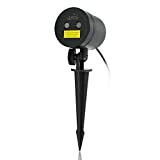 GR8 Goodz LED Motion Sensor Solar Light, Bright, Weatherproof, Wireless Security, Automatic Dusk to Dawn Sensing, For Patio, Deck, Garden, Home, Driveway, Entryway, 1 Pak. Quick install! No batteries or wires! Integrated motion and night sensors. 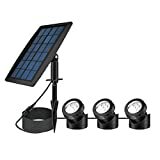 Solar powered, automatically recharges, battery powered, over 12 hours of light per night. Waterproof, heatproof, durable, automatic energy-saving on/off feature. Automatic: auto on at dusk, auto off at dawn, dim while no motion, bright when motion sensed. Plastic - Compact in size: 3.4" x 1.6" x 4.5". 30-day Money back guarantee! Provide instant security for your home with this solar powered, motion-sensing LED light! This LED motion sensing light combines a matrix of 4 white LEDs, providing over 80 Lumens of bright light, with built-in motion sensing capability. Once the sun goes down the light automatically activates in dim mode, providing an attractive low-intensity white light to the surrounding area. If motion is detected within a 9' arc, the light automatically switches to bright and stays that way until the motion and heat source move away. Then, after 10 seconds, the light automatically switches back to dim mode. When the sun comes up, the light switches off and begins recharging, using the energy from the sun. This light is certified by: FCC, ROHS and, CE for compliance. Built-in safety features include: over-charging protection, over-discharge protection, over-current protection and short-circuit protection. 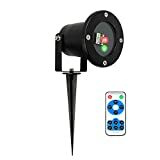 This light can be easily installed using the provided hardware or hung on any convenient hook and can be moved to any desired location. 30-day Money-back guarantee, if you don't like it, return it for a full refund. 1-year warranty, we'll replace it during that time, free of charge. Buy now to protect your property and your loved ones!